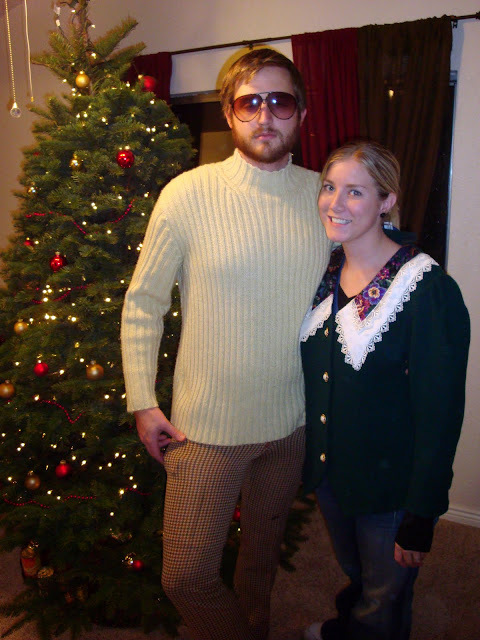 The Lynne and Colton Parry Ugly Sweater Christmas Party! Mike looks like he should be in the Beatles! I look like a grandma! He has cute Chicky legs! Shh he hates that nickname, but I love them and his bum! Tightest pants I've ever seen him wear! Pictionary! Watch the Video's below and you'll understand! Okay, I'll tell you! We played the music game again. Ashton and Payden won! Read my Parry Christmas Party post for the rules. Thursday December 10th we went to Pizza Factory! YUM! Friday December 11th we went to Los Hermanos! Yuck! HAPPY BIRTHDAY PHILLY! The VIDEOS of the GAME! SO FUNNY!